Sight, Taste, Touch, Sound, Smell. We use them daily. But how often do you actually pay attention to all of them? 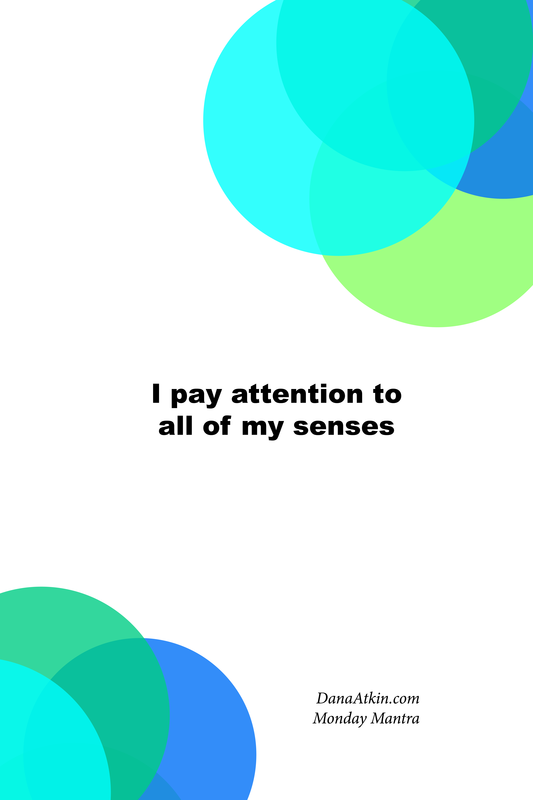 I recently took on some focus on these senses and was amazed at some of the things in daily life I tuned out. I think sound was the most profound one of all of the senses for me. I realised that I was probably only paying attention to maybe 60% of the sounds I could hear in any one day. The thing here is that we do actually need to tune these out in order to focus on specific tasks. But sometimes, these senses can be our best ally. If we’re able to take moments throughout our day and tune in to all of these things, we’re better equipped to really understand what’s going on around us, to really be appreciative of what we have and to really savour moments in all dimensions of our our senses. Today, every time you stop to have a coffee or a cup of tea, pause. Listen to the kettle boiling or the steam wand whooshing. Listen to the clink of the tea spoon as you stir in sugar or milk. Look at it. The colour, the smoothness of the texture, or the bubbly texture of a cappuccino. Smell the tea or coffee. Breathe it in. When you take a sip, taste it. Really taste it. Then, expand that further between sips. What else can you hear around you? What else can you smell? Return to your cuppa and begin again. This exercise allows you to focus on a specific sense around a specific topic and then it allows you to open that up and take everything in then brings the focus back to one topic again. 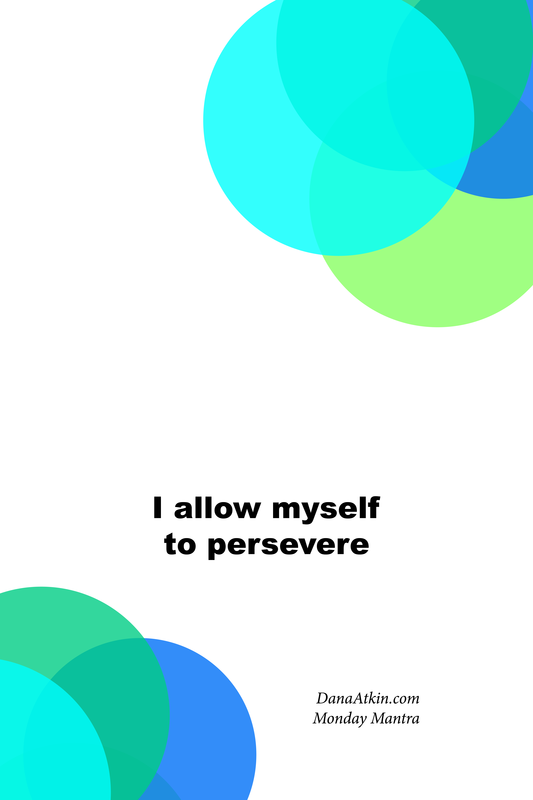 I allow myself to persevere. I allow myself to keep to going regardless of what comes my way. Regardless of what people say, regardless of what I tell myself, regardless of whether I think I can or not, I allow myself to persevere. This particular mantra was actually the goal of my last Kinesiology balance. I was feeling frustrated about my progress with my business. I had completed a lot of thought before going into this session about some patterns of mine that had come to light over the weeks prior and to be honest, It started some not so nice self-talk. I realised that whenever things got tough, I would assume the position of “I can’t do anything right”, “I’m not good enough” and would throw the towel in with “What’s the point?!”. And this pattern was with EVERYTHING! Not just work but at home, with my training, with absolutely everything and this was feeding into my self-worth, pushing me out of taking responsibility and putting me into a victim mentality. I like this mantra because it says that even when things don’t go as planned, even when I think I’m not good enough, even when I think people will think I’m crazy I allow myself to persevere. As always, download & save this mantra to your phone or desktop or print it out and pin it somewhere. When you see it, say it and if you think that someone else will benefit from this mantra, share it. Read all about how Affirmations and Mantra’s work here.